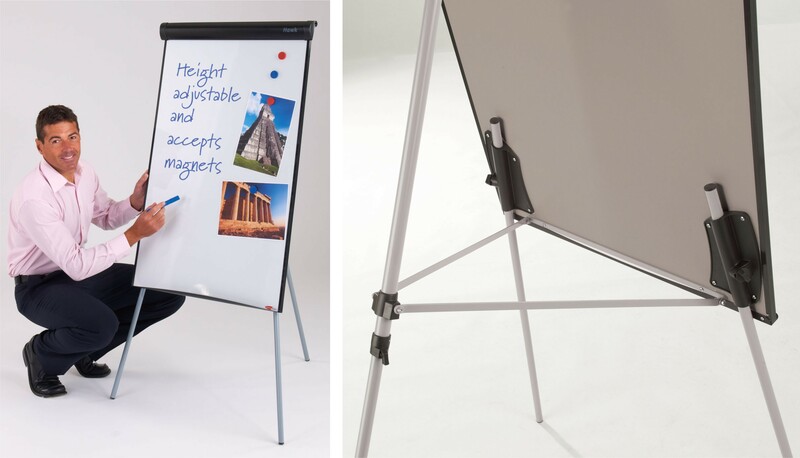 The Hawk is a tripod easel with class beating features. 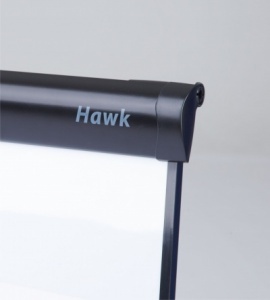 It has a rear leg tie bar for extra stability and durability and telescopic legs that allow simple height adjustment. 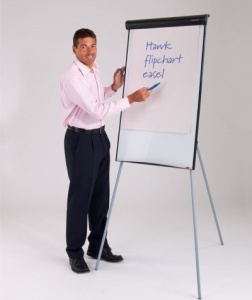 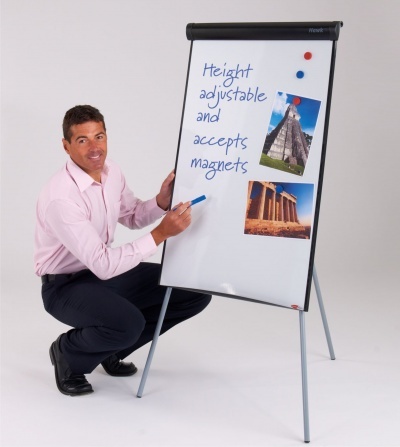 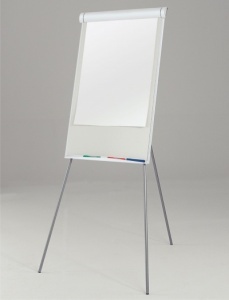 The magnetic drywipe whiteboard surface measures 1000 x 680mm and has a curved pen tray to the base of the board. 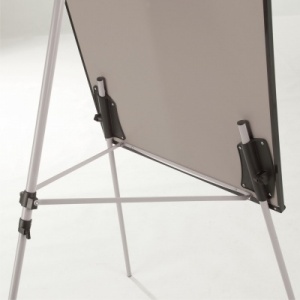 Hinged pad clamp with hangers for standard pre-drilled A1 flip pads. 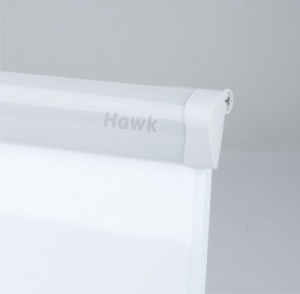 The Hawk is available with either Black or a White framework.